Greetings from Colorado! If you read any of my blog posts from last week, you likely already know my family was surrounded by the wildfires in Sonoma County in Northern California. After my last post, I did end up evacuating with my kids. I'm not entirely sure when we'll be back at home, but I have a couple things planned for my blog while I am away. ow let's jump in on today's blog post! Just before things got crazy back at home, I was playing around with makeup and created a simple mermaid look. I had a lot of fun with it, and I thought I would share it here if you are still trying to come up with a quick and easy look for Halloween. Ulta Beauty just had a sale on NYX Cosmetics, and the new In Your Element eyeshadow palettes were marked down to only $21 each. While I did not feel comfortable paying the full $30 for these palettes, I took advantage of the sale price and bought two of them. I had an additional coupon so I ended up scoring mine for only $16 each! Even though I don't wear much blue eyeshadow, I am truly a water spirit and was drawn to the Water palette immediately. Since my eyeshadow collection was deficit in the blue family, I felt it was a great palette for me to add to my collection. While the quality wasn't the best I have ever used and some colours on the chalky side, they were quite pigmented and blended reasonably well for me. The pans were also bigger than those in other NYX Cosmetics palettes I own. I'm still not sure I would want to pay the full $30 retail price for it, but it was well worth what I paid for it. In order to fully embrace my Pisces water sign, I opted to not only wear this eyeshadow on my eyes, but to add it to my face to be reminiscent of fish scales. 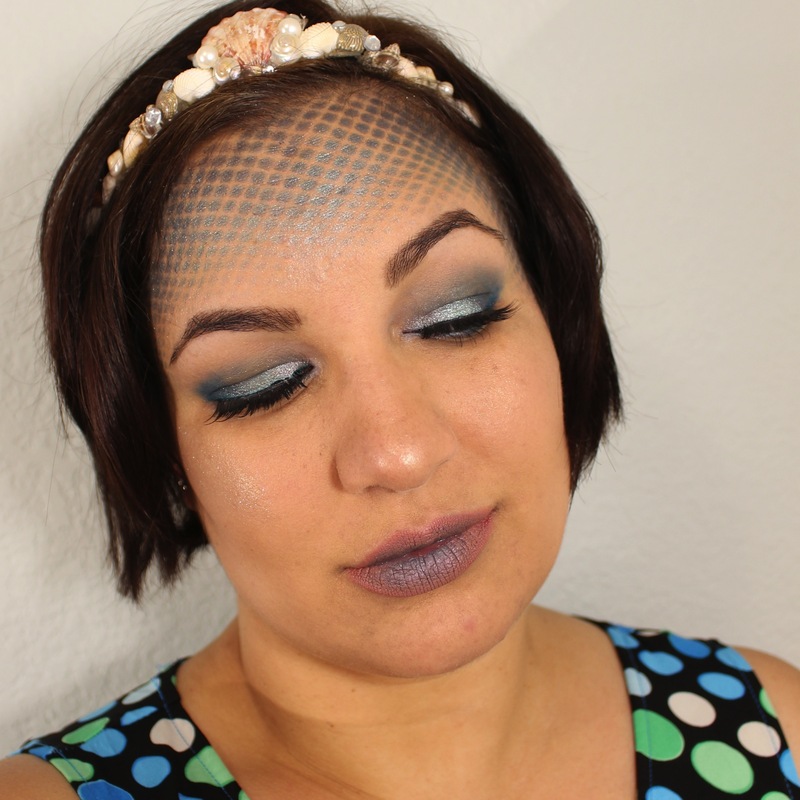 For an easy scale look, I pulled fishnet stockings over my head and stippled eyeshadows over the open areas of the netting to create a soft gradient look. I gently removed the fishnets from my face and this lovely scale-like pattern was left on my skin. To complete to look on my eyes, I added Fright Night Bat Wings Frightening Lashes that I picked up from my local Walmart store. I love the look of these lashes, but were they uncomfortable and I could only wear them a few hours before I had to take them off. At a whopping $3, I didn't have high expectations for these, but I will be on the lookout for a similar style in a better quality brand for future use! Rather than having my face be overwhelmed with blue hues, I used the Copper Sea highlighter from Bitter Lace Beauty by swirling together the metallic copper and iridescent aqua green shades. 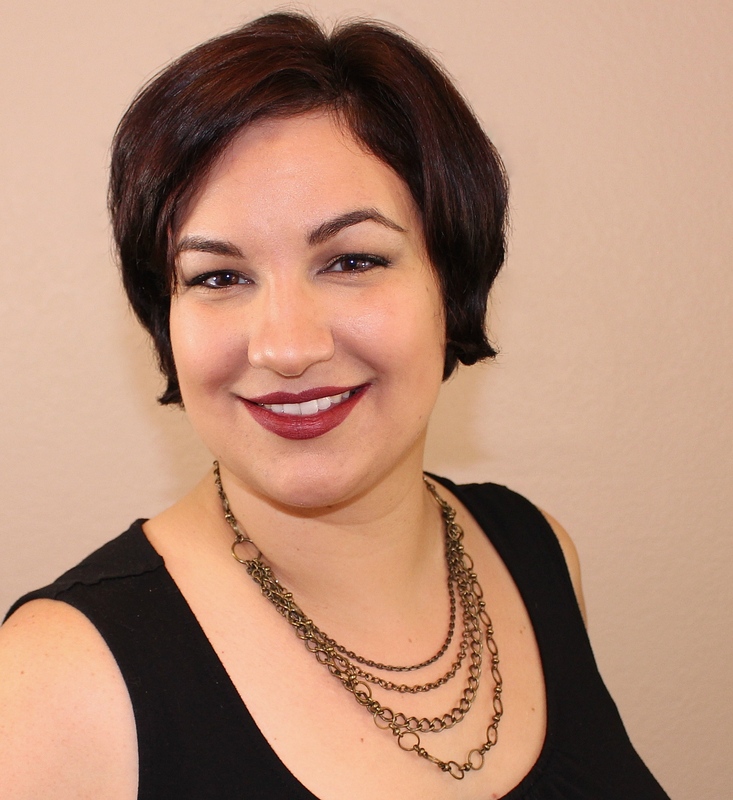 On my lips, I used NYX Cosmetics Lip Lingerie Liquid Lipstick in the shade Push-Up. I then lightly blended Kiss New York Pro BELLE Matte Lip Cream in Blue Fleet in the center area. I had originally planned to go with a full blue lip for this look, but the shade didn't coordinate quite as well as I hope with the eye look and my initial application over my full lips was horribly patchy and uneven. It is also thick and goopy, leaving me really disappointed with it. This lip cream was only $6 so I'm not too broken up about tossing it in the trash. While some of the products I used in this post were disappointing, I still loved the overall look! I'll have to switch to other products for when I want to do this look again. It was so quick and easy to create, and if you are looking for an easy costume idea, this may be for you! Aww Jen you look so good! I wonder if a setting spray would help keep the look for someone in the humid south like me. I need to get more setting sprays, for real. I love how the fishnet hack worked out for you! I love the fishnet hack. I have used it a few times for emergency halloween costumes. Very cute for a mermaid costume! This look is gorgeous!! 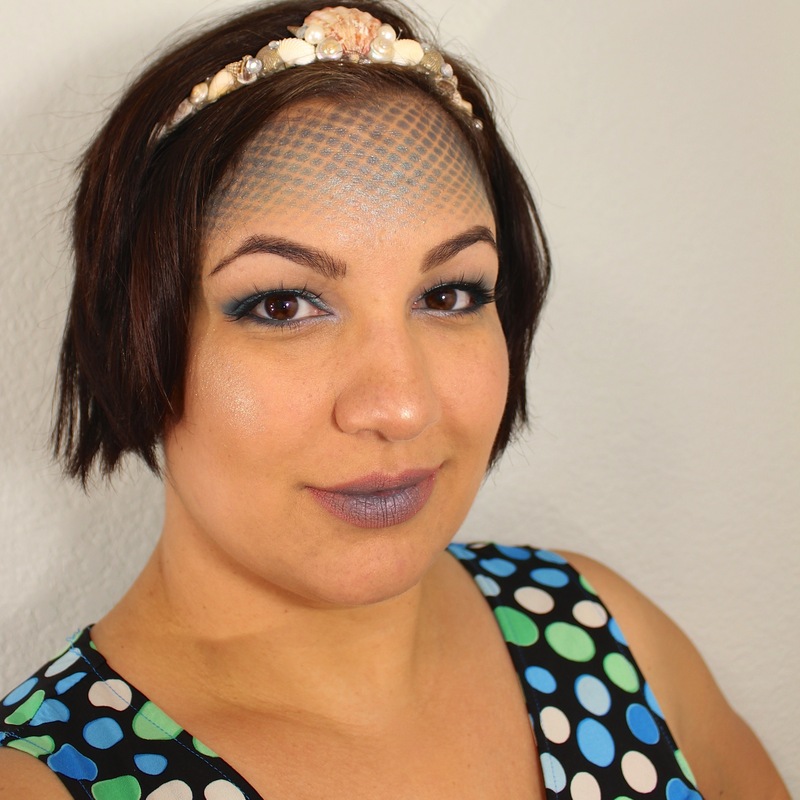 I love the metallic blue colors and I love NYX makeup products! This is super cute! I love the colors you used. Your mermaid costume is a great choice for Halloween. This look is very cute! so cool! this is so perfect for a mermaid look. very creative! OMG that looks awesome. I love the mermaid scales look. (I wish I had your eyebrows). So beautiful. Yessss. You are a mermaid! This is very creative! It's very cute! Hope you all stay safe during the fires and are able to return home soon. Your creation is beautiful, I love how the eyes turned out! That turned out super cool! Great job! This is such a cute look. It is so perfect in fact that I need to share it with a couple of my adult friends going as mermaids for Halloween. Love love love it! Hope all is well with you and your family. 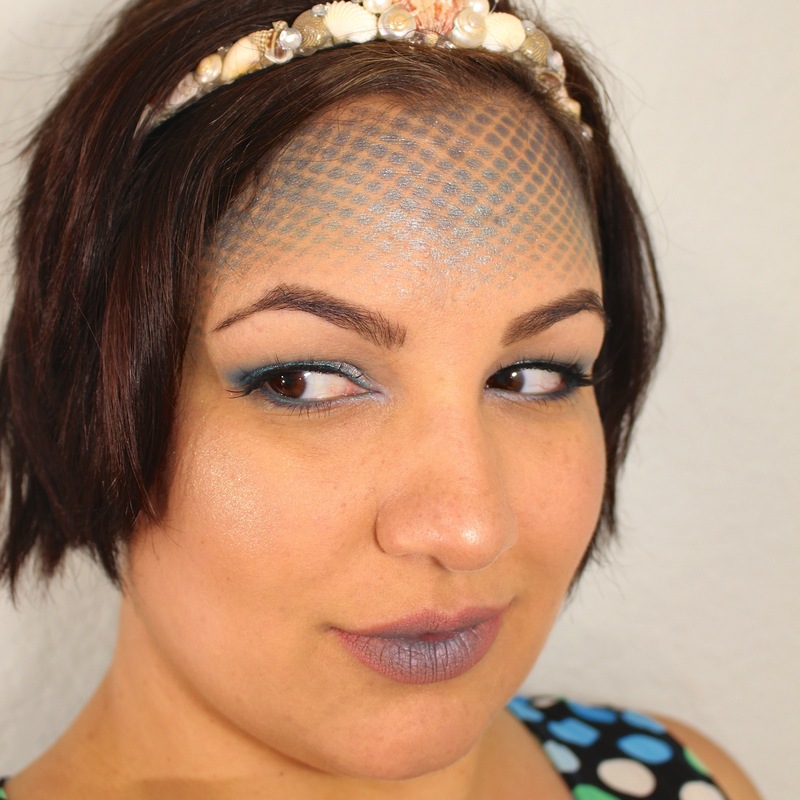 This is such a creative and cute mermaid look. Very simple. I love the colors too. NICE! Loving that shimmery blue eye shadow! So pretty! I saw a couple tutorials doing this. 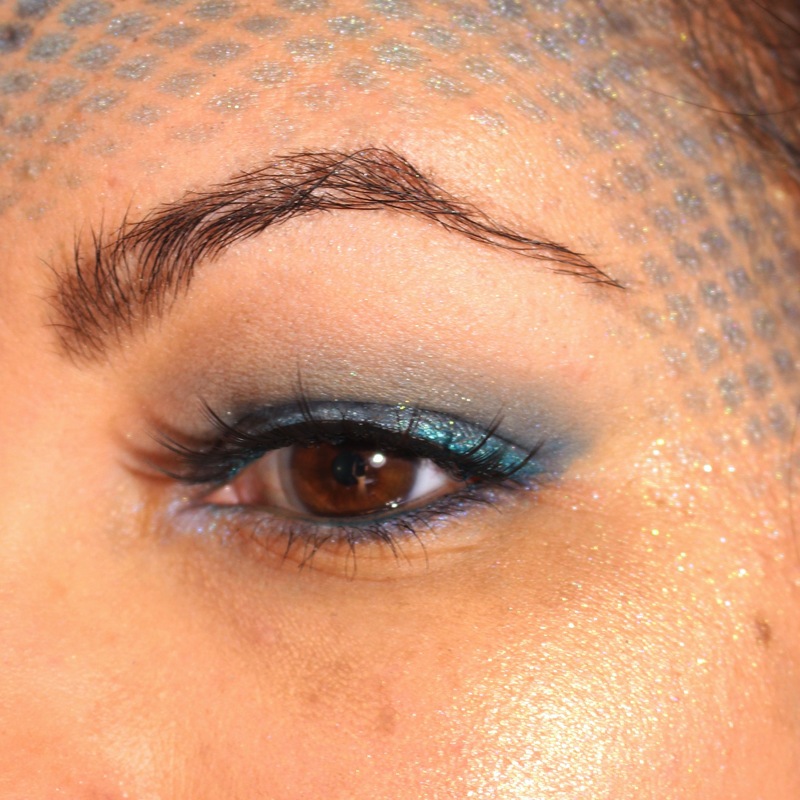 It looks so neat for a mermaid look!